Today we put forward a 3D water dispenser. A cool water fountain, also known as a water fountain, a water cooler or a water distributor, is a device that cools and distributes water. Cups are also available. Two valves dispense refrigerated water and at room temperature. 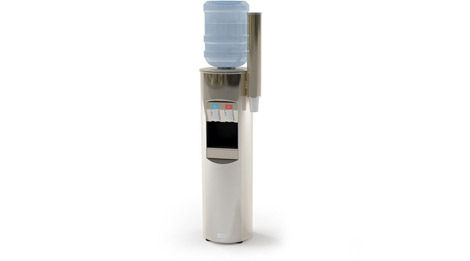 A water dispenser is usually attached to the wall and connected to a drinking water supply system or a changeable tank. This type of tank is generally plastic, bottle-shaped, with a capacity of 18.9 liters – 5 gallons in the United States. It is often replenished by a specialized company providing a regular distribution service.